Pickups for this tour commence at 8:45am. You will be notified of your exact pickup time closer to the date of travel. There are no upgrades available for this tour. 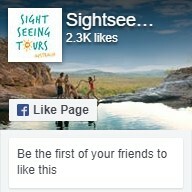 If you think the Gold Coast is just about sun and surf, join us on our 1 Day Mount Tamborine Tour to discover another side to this popular tourist destination. Enjoy a fully guided rainforest walk to Curtis Falls, learning about the incredible biodiversity of this unique environment along the way. 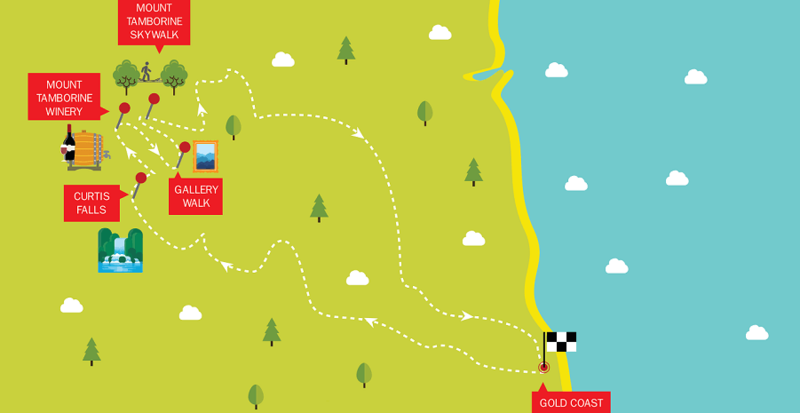 Enjoy morning tea and wine tasting at one of Queensland’s top wine cellars and peruse the shops of Gallery Walk. 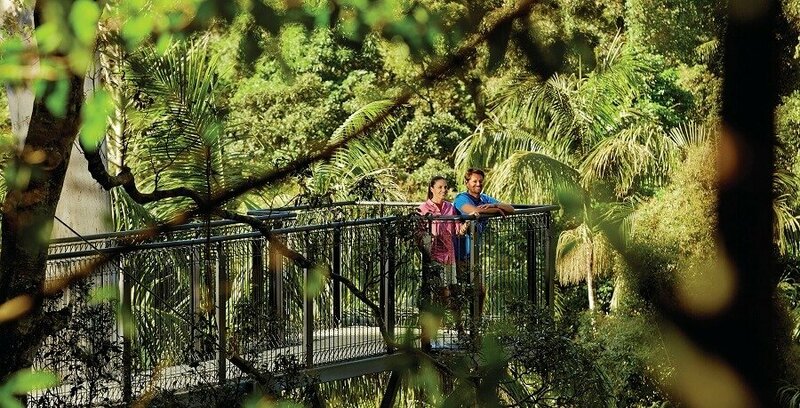 Then finish the day walking among the canopies of towering trees at the Mount Tamborine Skywalk. This 1 Day Mount Tamborine Tour will give you a fresh perspective of the Gold Coast as you spend a day away from the bustle of the theme parks and beaches. We depart from the Gold Coast into the forest of the surrounding Hinterlands. Your friendly guide will give your local expertise of the precious eco-system, home to many unique and wonderful plant and animal species. The adventure continues onto the impressive Curtis Falls, where the waters of Cedar creek crash into the rock pool below. 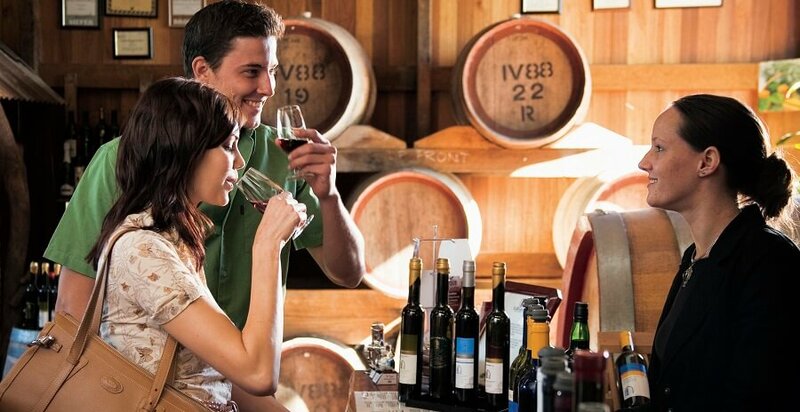 Explore Mount Tamborine Winery to sample some of Queensland’s top wines while enjoying a delicious Devonshire Morning Tea of scones with jam and cream with a cup of tea or coffee. Our adventure continues in the afternoon as we explore the iconic streets of Gallery Walk, perhaps treating yourself with a piece of artwork for yourself. We then make our way to Mount Tamborine Skywalk for a unique perspective of the beautiful rainforest through the canopies of Mount Tamborine. The easy walk of 1.5 kilometres will take you up 30 meters above the forest floor and creek below for breathtaking views of the lush rainforest of Mount Tamborine. 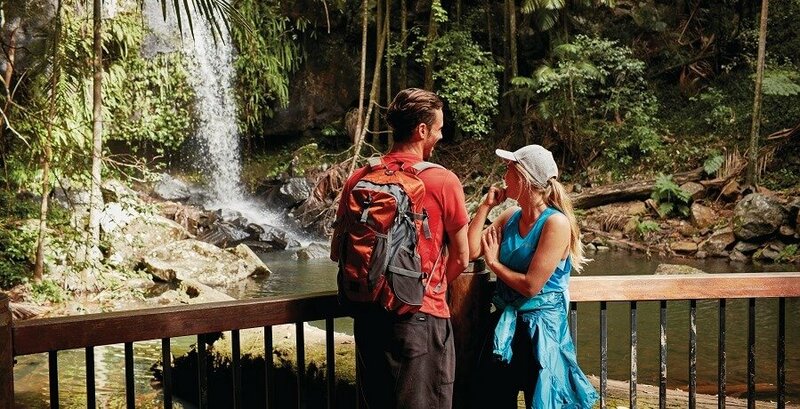 After a day of sightseeing the marvellous scenery of Mount Tamborine, our 1 Day Mount Tamborine tour concludes as we journey back to the tranquil beaches of the Gold Coast.